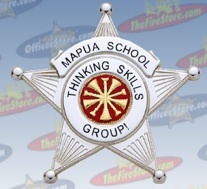 Welcome to the Mapua School Thinking Skills Group Blog. 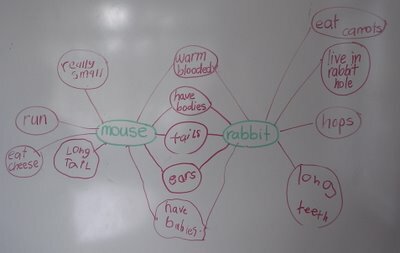 Here we will post lots of information about all the different things we have been learning about. We hope you enjoy sharing in our learning. 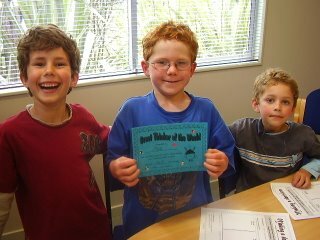 This week we shared our awesome Invention Key Homefun. We had to invent something to turn used water into fresh water that can be drunk again! Check out this slideshow that shows some of our amazing inventions! This week we looked at the "What if...?" 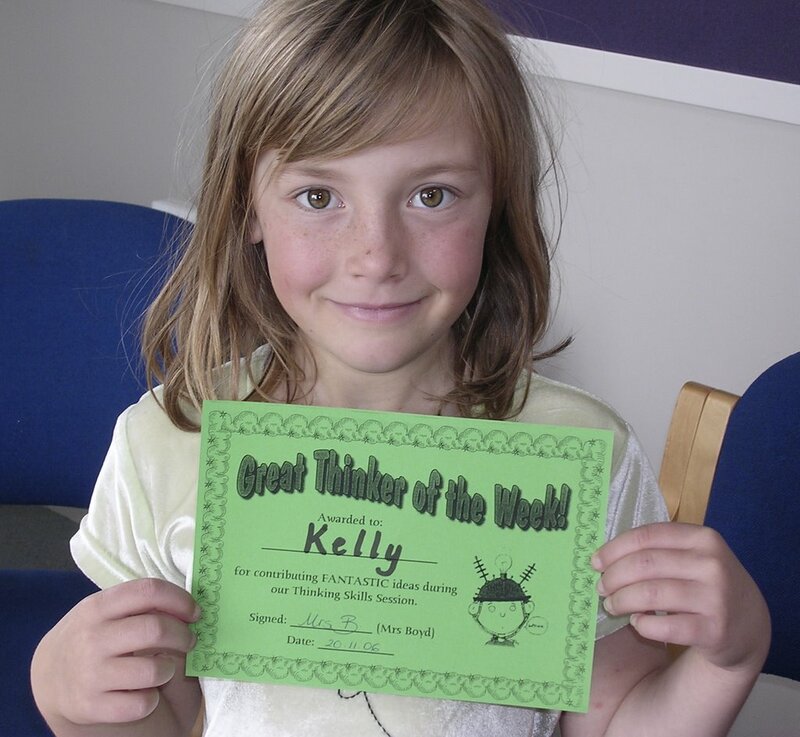 Thinkers Key. We had fun making up our very own "what if's" and testing our buddies to see what they thought. 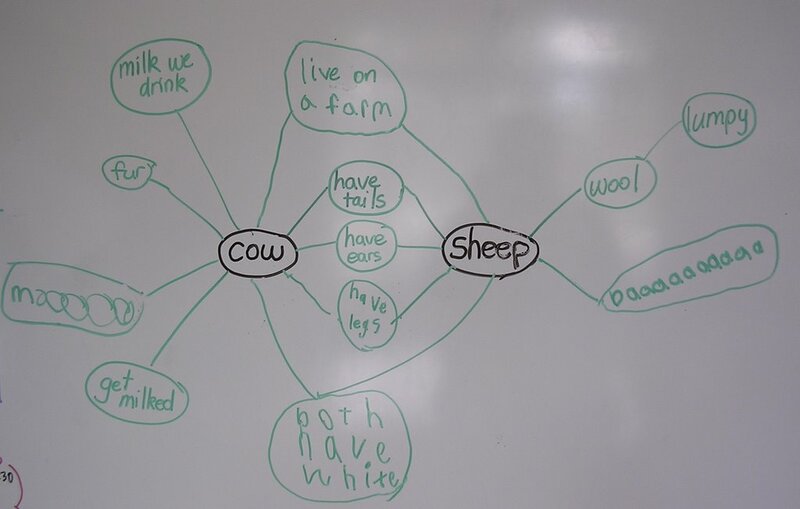 Today we looked at DOUBLE BUBBLE MAPS and how they can be used. We did these example double bubbles as a group. Have a look at all the neat things we thought of to compare one animal to the other! 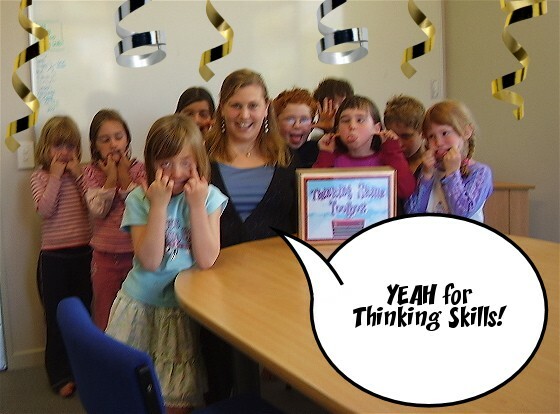 Well done Thinking Skills kids, I really enjoyed the great discussion we had today over last week's homefun task. I agree that it would take some getting used to, but recycling water is definetly something important that we may have to look into for the future! Today we looked at another one of Tony Ryan's Thinkers Keys. Previously we had used his Alphabet Key. 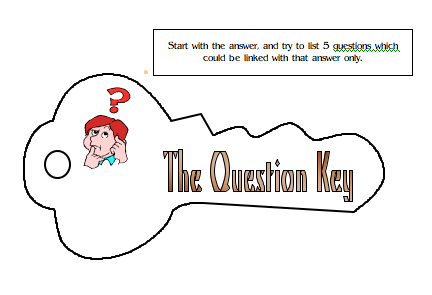 Today we looked at the "Question Key"
It was a bit of a challenge for us today because the question key confronts students with an ANSWER and they have to suggest questions associated with the answer. We started as a group brainstorming questions that would go with the answer of "Mapua School" and then we worked in pairs. Each pair chose an answer and set about creating questions that could go with it. This proved challenging because it is hard to ensure that the answer is exact. For example: "What is the most beautiful, flying creature?" - is the answer only butterflies! For homefun this week you need to think about the questions that could lead to "Water", "Ice" and "Steam" as being the answers. I can't wait to see what you think of next week! Today we met once again in the afternoon while the rest of the syndicate were in singing. We all brought along our "Making a Decision" homefun sheets so we could share our ideas. Our issue that we had to think about was "We should all drink water that has been cleaned, treated and recycled." At the end most people decided it was a good idea provided the water doesn't have lots of chemicals in it! Firstly, well done on your Homefun from last week, I really enjoyed reading all of your great thoughts about water! It's great that you can stretch your minds and think in SIX different ways about the one topic! 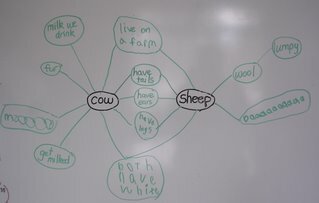 Today we had a great time sharing our thoughts and playing the attributes games from Think Shop. We are getting very good... next week we will play the game as snap and see just how good we are! Today group members were given a "Making a Decision" sheet. The topic we are trying to think about is: "We should all drink water that has been treated, cleaned and recycled". Our initial thoughts were that we wouldn't like to be drinking recycled toilet water!!! We will see how we all think about the idea after we have carefully considered the issue using both yellow and black hat thinking. I hope you all had a lovely LONG weekend! However... we do have some homefun to do so we can all be ready to go for our next session on Monday. This week we are using Edward De Bono's 6 Thinking Hats to think in many different ways about water. If you haven't already got a sheet you can download one here. Good luck, I hope this encourages you to think in SIX different ways! On Monday we each shared our Water Alphabet Thinkers Key homefun. The group came up with SO many amazing words associated with water! Well done Thinking Skills Kids - I enjoyed reading your alphabet key work - you thought of such neat words! We will need to get you to share your work with your classes. Reminder - Week One Homefun Due!